Every week I looked forward to going to class, not just because I was interested in the topic of sustainability, but because every class I learned new ways to make my life more sustainable and in accordance to permaculture principles. Through this class I was able to greatly expand my knowledge on how much of a difference I can make by doing seemingly small things. For example, through our walks through the Arb I learned the various ways to use local produce to its full extent, and also through our waste journal and the subsequent tours of the campus farm I learned how important it is to use everything to its potential. At the campus farms I found it amazing how little space they were using to produce and cultivate so many different varieties of plants and herbs. This really reinforced the principles of stacking functions and maximizing the potential of local plants that I found so interesting in Holmgren’s text and in the class. I feel that in the other environmental classes I have taken they have been focussed too much on the ‘big picture’ and how large corporations are screwing up our ecosystem beyond repair, and something that I loved about this class is how it focused specifically on what we can do and what we still can change, and in that way it gave me such an optimistic view about all the small things that I have started to do that will truly make a difference. So many of the principles that Madeline taught us are very applicable to daily life, and I felt that this class went beyond the classroom and taught us to discover the spaces and nature that exists around us at this University and the vast amount of resources that we have at our disposal. Not only are permaculture principles relevant for our ecosystem but many principles like stacking functions and using our resources to the full extent were really great for me to hear because as a freshman at this university it can sometimes feel very overwhelming, and it is nice to have a direction as to how I can really start to take advantage of the great opportunities that being at Michigan gives me. I really enjoyed going to the campus farms and visiting areas of campus that I would not have seen otherwise, so I definitely would have kept that the same, the one thing that I might have changed was I really would have enjoyed working more hands on with the campus farms, and it might have been cool to be able to do our own sustainability ‘project’ and be able to plant some vegetables or plants local to Michigan and see how they grow and change through the course, applying sustainability concepts to how we grow them along the way. I also elected to search for an internship, and that process is going well so far. I had a meeting with the career center a couple weeks ago to get me started on that process and have identified the way that I want to go about looking for an internship, most likely through the career center and using the resources of the University. I am really excited to highlight a specific field and pick a company to work with, but I am not yet decided on the specific field of work that I want to apply for this summer, most likely I will apply for a broad range of different areas and then see which one suits me best! I had a great experience with this course and am excited for the rest of my experience as a student at the University of Michigan! After completing an associates certificate in Television Broadcasting and Film Production at Specs Howard School of Media Arts, Madeline attended Northern Michigan University where she studied in the school of Art and Design. When she transferred to the University of Michigan her sophomore year, Madeline felt compelled to become a part of campus life almost immediately, through her participation with the Michigan Hybrid Racing Team, Consider Magazine, and the University of Michigan Ski Team. 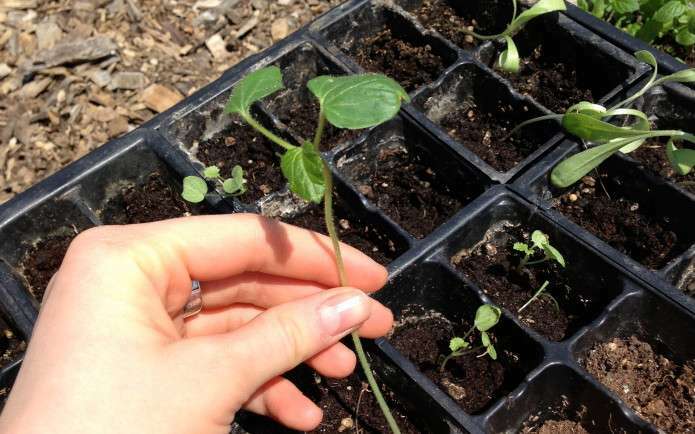 After becoming the satellite garden coordinator for the Friends of the Campus Farm, Madeline realized that there was a need for permaculture education on the University of Michigan Campus. She met with Nathan Ayers of Chiwara Permaculture L3C and started the Permaculture Design Team at U of M with Evan Granito. 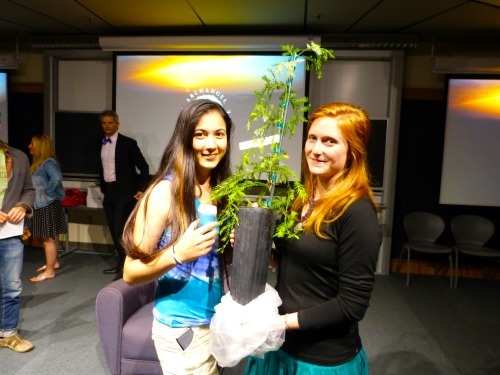 Since that time, Madeline has sponsored research in Environment 391: Sustainability and the Campus, passed down the leadership of the Permaculture Design Team to a six person board, and taught a 10 week Honors Freshman seminar. While attending U of M, Madeline studied contemplative studies and nature-based meditation practices, social theory, climate change mitigation and adaptation, environmental science and sociology, and project development. She never wasted a moment here at the University of Michigan, only taking classes that she was fully engage in and creating a network of cohorts from faculty, to staff, to students who all believed in her same vision for this university. I first heard about permaculture design from a friend of mine who was working as a farmhand on a sustainable kibutz in Isreal. There, he helped install agroecological systems that produced food for the residents of the kibutz, while maintaining the stability and productivity of the ecosystem around them. That friend eventually moved back to Michigan and start a small organic farm, which is where I cut my teeth farming, and where I developed a life long passion for sustainable food systems and permaculture design. As a Program in The Environment major at the U of M, the time soon came for me to fulfill the field experience requirement for graduation, which led me to a four-month internship at the Central Rocky Mountain Permaculture Institute in Basalt, Colorado. There I studied under Jerome Osentowski and Peter Bane, completing their Permaculture Design Certification (PDC) course in August 2011. Since then I have spent time teaching gardening and ecology to youth in Nevada, lived in Virginia for the Alleghany Mountain School Sustainable Food Fellowship, and currently work as the Urban Program Coordinator for 4-H Youth Development Programs in Kalamazoo, Michigan. I have remained an active permaculturalist throughout all of these experiences, and I have always been received with open arms by the uniquely welcoming world of permaculture enthusiasts. Permaculture design can be applied to any system, be it social or agricultural, architectural or economic, complex or simple. Traditionally, it has been applied primarily to agricultural systems, so that seems like a logical place to start. I would like to see more food for U of M students being grown on farms and gardens that utilize permaculture design methodology, and those gardens should be easily accessible for the students to see how permaculture systems function and how their food is being produced. Beyond food, University landscaping could easily transition (over time) from purely aesthetic ornamental plants to edible or otherwise useful alternatives, preferably in perennial polycultures of native plants. Similarly, university buildings could all be retrofitted to meet at least the minimum standards for LEED certification. The possibilities are only limited by the commitment of the university, and the positive benefits would be legion. 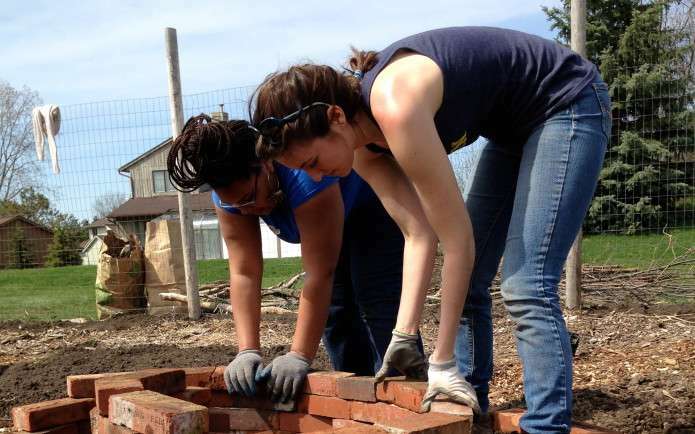 Perhaps the most valuable way that permaculture could be integrated into U of M is through the programs and curriculum that are available to students. As a PitE major, I was able to make Permaculture Design my specialization during my sophomore year, which entailed selecting 3 relevant courses and writing briefly about how they relate to permaculture. 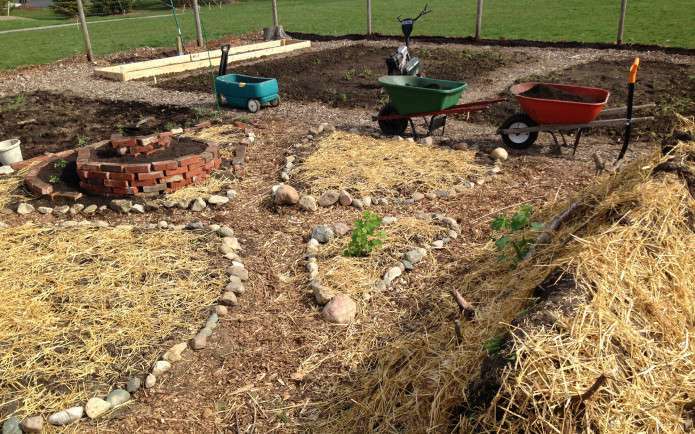 For a field that is rapidly growing in popularity and has such a vast breadth of content, Permaculture Design could easily be offered as a major all its own, as it is at countless other Universities across the county already. I am an avid gardener, and currently rent two 5×30’ plots at the nearby community garden. This garden was originally intended for WMU students, though a fair amount of community members also own plots there. This is another model for potential permaculture integration at the U of M. I also provided permaculture designs for the UM Campus Farm, as well as designing the King Learning Garden permaculture plot. I practice self-sufficiency by making as many of my own goods and growing as much of my own food as possible. I recently filled my worm bin with straw, newspaper, and oyster mushroom inoculant, to see if I can combine my worm-compost and mushroom growing projects into one dual-yielding system (stacking functions is a common obsession amongst the permaculturally-savvy). Permaculture also informs a great deal of the programming I organize for Kalamazoo County 4-H Youth Development Programs. Since starting the job in June, I have taught 2 six-week gardening programs for urban youths, organized one long-term environmental education program, and have many similar programs set to begin in 2014. I recently organized an event for 300+ students at a local middle school to pot native perennial plants, which will be planted at a derelict property on the Northside of Kalamazoo in the spring. This property is being renovated by the landbank and will, come spring, host a new club of 4-Hers who hope to grow food in hoophouses and green roofs, eventually selling their produce to other northside residents. Of course, it is my job to ensure the success of projects like these, but my commitment to these endeavors is rooted largely in my commitment to permaculture design, and my desire to always remain an active permaculturalist. Our organization was officially formed in December 2012, and we hit the ground running with multiple permaculture design projects. As the UM Permaculture Design Team, our goal is to educate and inoculate students and community members with a system’s thinking lens and whole systems design knowledge. In this way, we can create more beautiful, productive, and sustainable systems. We have done this primarily through biweekly meetings twice yearly weekend permaculture training events, and occasional guest lectures. We are the first group at the U of M ever to focus on permaculture design, and we remain unique in our integration of education and practical demonstration values. We also seek to provide permaculture designs and consulting services to local clients within the campus and community. We have already provided designs for the campus farm, their satellite gardens, and a 5000 sq foot garden at King School Elementary. We are also aiding in the implementation and maintenance of those designs, thereby enhancing urban beauty, food security and the self sufficiency and knowledge of our group members. The Permaculture Design Team is sponsored by the Graham Institute for Environmental Sustainability. 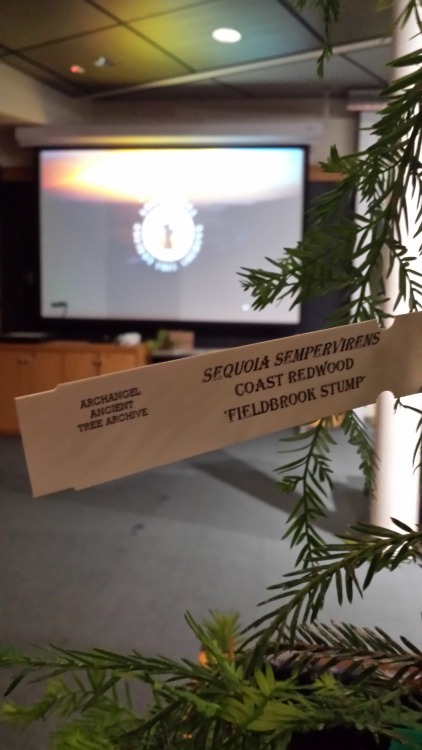 The PDT filled old donated gum ball machines with seed-balls of culinary herbs and native wildflowers. This not only raised awareness about the club but also allowed residents and students to participate in the urban beautification of their community by tossing the seed bombs around Ann Arbor. 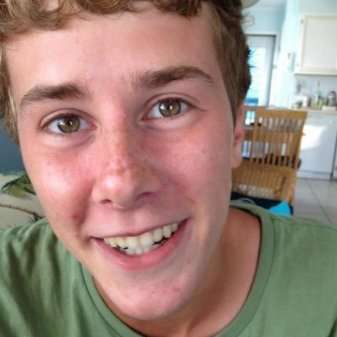 Nathan Ayers, founder and director of the Chiwara Permaculture, helped to facilitate the development of the PDT and continues to organize events and host meetings at the Chiwara Research and Design Laboratory. The PDT redesigned 500 square feet of the 5,000 square foot King Learning Garden with permaculture principles in mind and installed the space in Spring 2013. 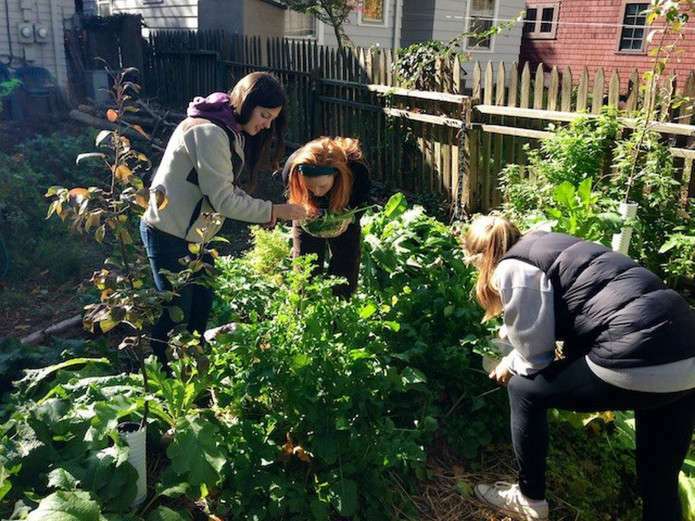 Since then, the PDT has taught permaculture science to Neha Shaw’s 5th grade class in the form of closed loop, regenerative system education and plans to do so on a regular basis 3-5 times a semester. This weekend’s events kicked off with a free and open to the public lecture by Milarch preceding a nature awareness walk in Nichols Arboretum, a tour of the Chiwara Permaculture R&D lab and a tour of the UM Campus Farm at the Matthaei Botanical Gardens. This entire weekend was open to community members as well as U of M student and remained free of charge. 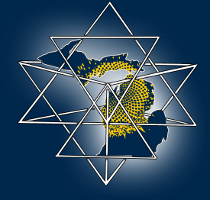 The University of Michigan Permaculture Design Team is now recognized as a Student Sponsored Organization (SSO) as opposed to a Voluntary Student Organization (VSO). 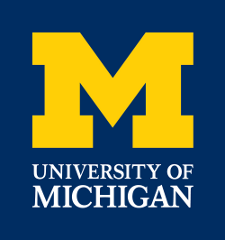 This partnership gives the PDT the rights to use the University of Michigan trademarked block “M” and allows them to work more closely with the Graham Institute in the development of weekend workshops etc. The PDT elected six new leadership board members in fall 2013 to serve as the steering committee for the team throughout the next year. 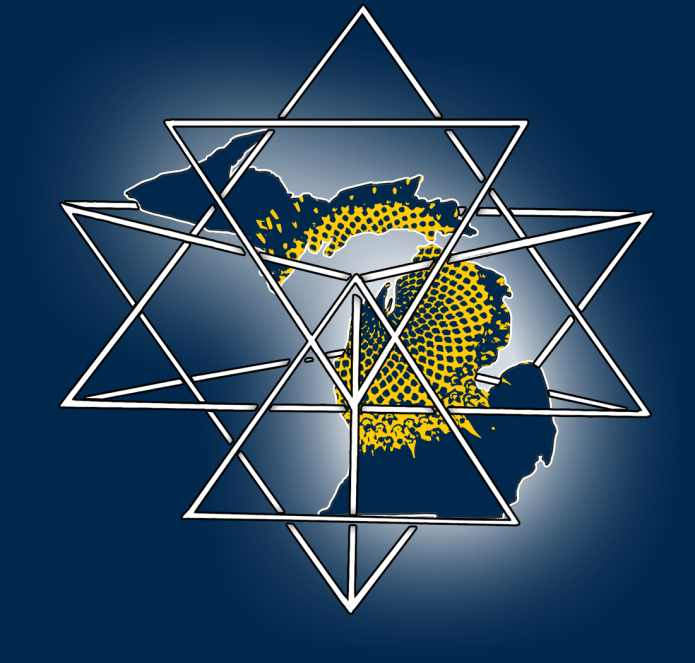 This website serves as a culmination of Madeline Dunn’s thesis, going live in Fall 2013, and stands as a living document for all things permaculture at the University of Michigan. Click an icon above to explore it’s principle. Permaculture was not “created” by Holmgren and Mollison. These practitioners simply used theses principles within integrative thought when researching the regenerative practices of cultures. For centuries, communities have worked together on a local scale to obtain yield and care for each other and the earth. It is only recently, since the development of petroleum-based energy and products, that society has devalued the use of permaculture thought and action. There has been a recent shift in thought and mood towards localization and community-based agriculture systems. We saw this in the 1970’s with the development of the permaculture concept, and we are experiencing it here at University of Michigan with the push for local food, a campus farm, cooperative living, and interdisciplinary education. The permaculture initiative is a movement of permanent and regenerative culture at the University of Michigan. It touches on all aspects of permaculture including but not limited to food systems, course guidance and structure, and extracurricular, student-based initiatives. This web-site serves as a web that connects all of the different ares of campus that are practicing permaculture. It begins to answer the question of how permaculture is embedded into the structure and culture at the University of Michigan.